If you are like us, you are probably a little dust covered from working in your classroom and excited/anxious to meet your new students. As Kristi situated her rug in close proximity to the smart board, she was reminded of the many thoughtful questions teachers have been raising about technology and charting. Can I display charts on the smart board to save wall space? We discourage the display of charts on the smart board for a few a reasons. Yes, it saves space. And yes, it is neater, but it is difficult to display several charts at once. Children will all be working at their own pace on different aspects of reading and writing (and math and social studies and so on…) and will need information that is on a chart that is not just displayed on the smart board. 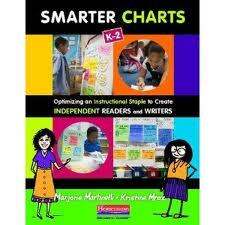 Some children may even want to reference charts outside the time you display them on the smart board. 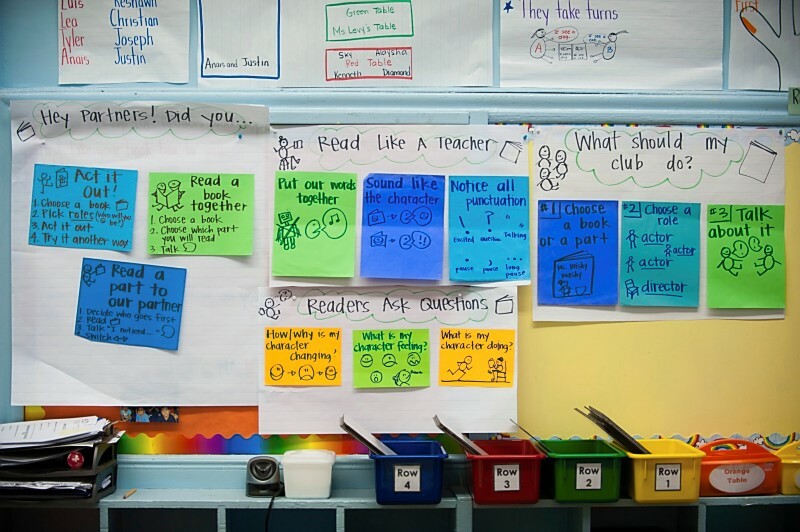 Many a child looks to the “Stretching Words” chart in writing workshop, but also during math, and during inquiry time, and really anytime they have a pen to paper. When we choose which single chart to display the classroom is subject to our whim of what we think children need, but in a true workshop children will need diverse charts. We recommend displaying the chart for the units in a variety of ways: across one board if you have the space, and in smaller sizes if you don’t. 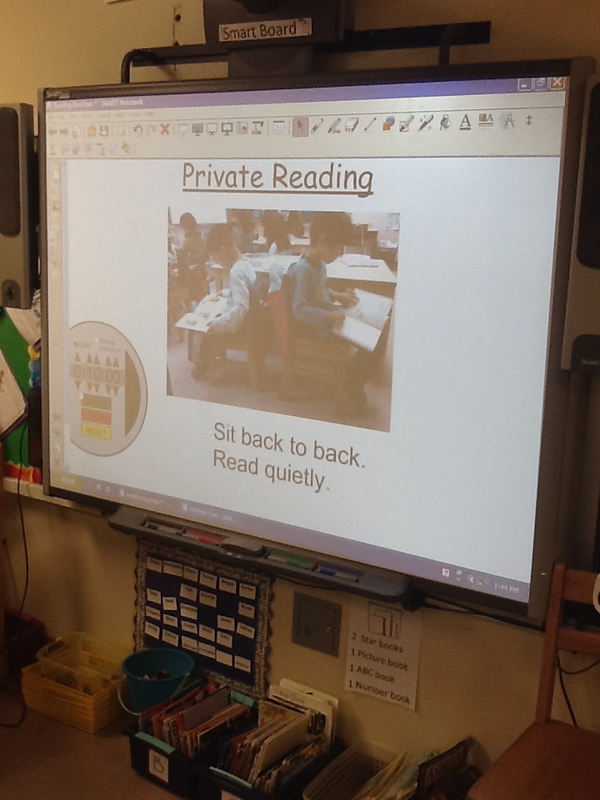 The smart board does have powerful uses during reading and writing time, often as a way to prompt for behaviors and help kids track time. There are lots of downloadable times that you can use on your smart board. Pair this with a slide show of students reading and writing for a powerful reminder of what the time is for! Smart boards, when paired with document cameras, can be a great way to look at student work up close. 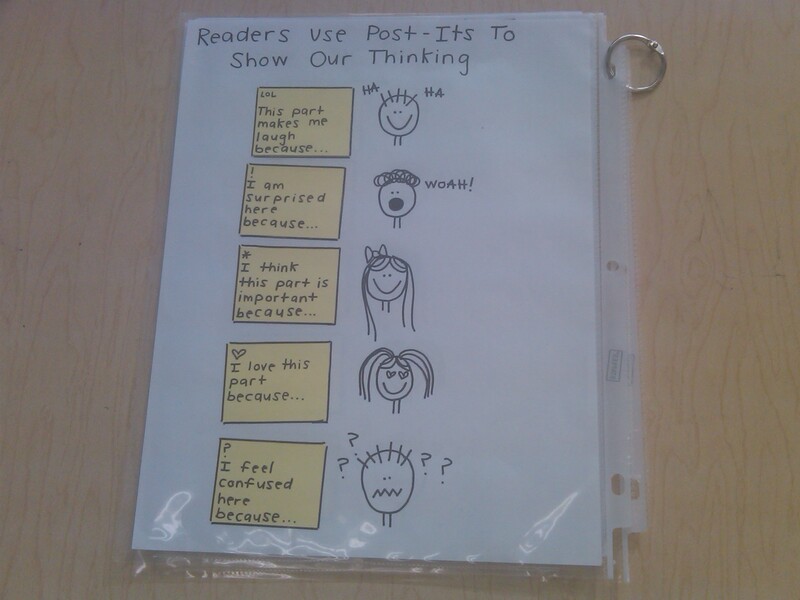 Make space for charts to hang during the unit, so that children can reference the chart THEY need when they need it! What if I make them on the smart board and print them out? One amazing aspect of smart boards is that you can co-construct in real time and hit print. This can be a great way to add strategies onto an already existing (and growing) chart. You can use photographs from the classroom and choose the language together during a minilesson or share on your laptop. Once you hit print, you can attach the strategy to the chart you have hanging in the classroom. We do have just one hesitation in this being the ONLY way you add strategies to charts. Teachers in the primary grades can model a great deal implicitly when they hand write in front of their students: letter formation, basic drawing, resilience in the face of trouble. When you make charts with marker on paper, you are more closely modeling what they do in their independent time. Should I copy and make charts for kids to paste into a notebook or keep in a folder? The value of technology is that it makes replication easier. If I can print one, I can print thirty. We would advise you to print 30 of anything with caution. 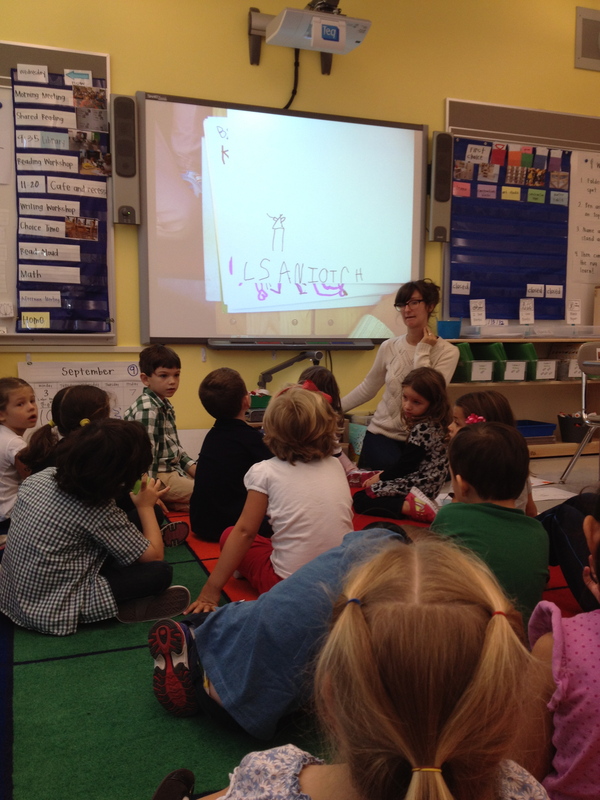 The one large chart (or smaller table ones) are meant to support the whole class. Giving a child a copy of every one can make materials management difficult for children. Instead we recommend taking a picture of, or printing, a chart that a certain child needs close at hand. Recommend any apps to make charting easier? Can we ever! If you are lucky enough to have a smartphone or an ipad, you can download and use the following. We are sure there are more, so please feel free to leave suggestions in the comments! Snap allows the user to take a picture and annotate it (there are other apps that do this, Kristi just happens to use Snap). You can hook your iphone up to your smartboard with a VGA cable and do it with your class, or load it to your laptop and print from there. 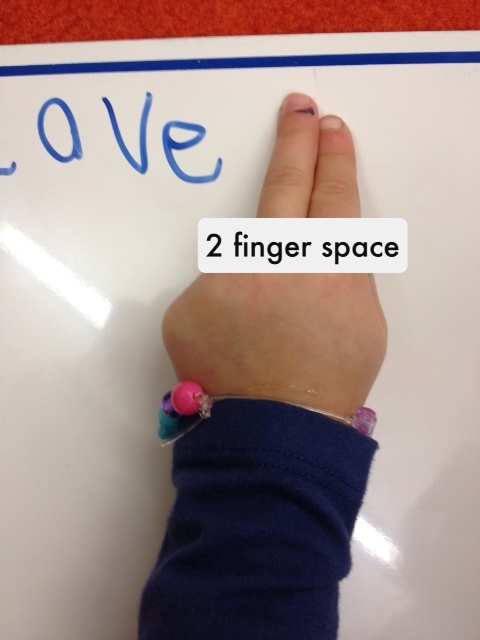 This picture was made in Snap to remind a small group of writers to use a two finger space when writing. Pix Stitch allows the user to combine a series of photos into a sequence. This app is useful when you want to show multiple images together. The free version lets you combine up to 5 photos at once. The app is intuitive and simple to use. 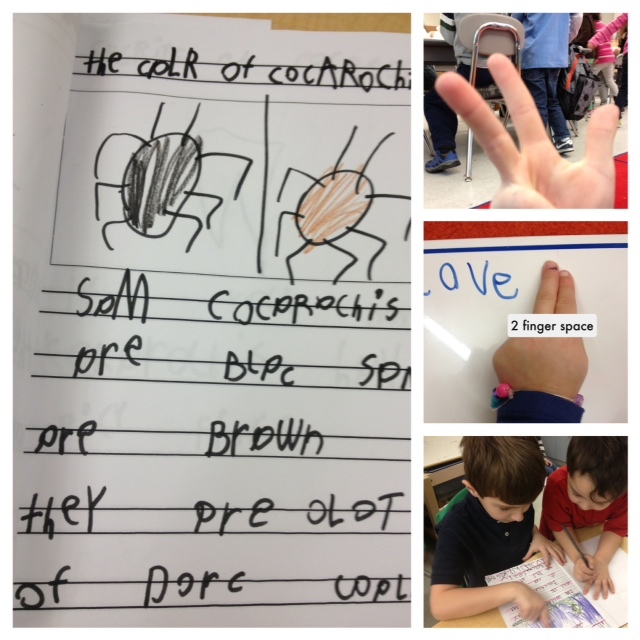 This grouping of photos reminds a child that when he is writing he should: plan, use a 2 finger space, and reread with a partner. Chartchums has written extensively about this here. 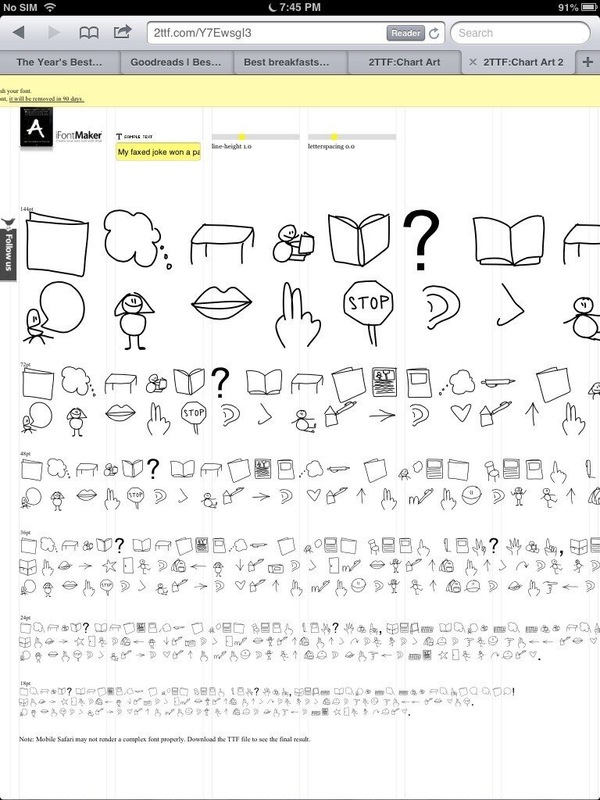 iFontmaker (ipad only) allows users to design their own fonts for use on any type of computer. Kristi used this app to create a library of common chart images, so she can use them as she types in Microsoft word. Kristi’s “chart art font” as seen in ifontmaker. Let us know how technology makes your charting more powerful!